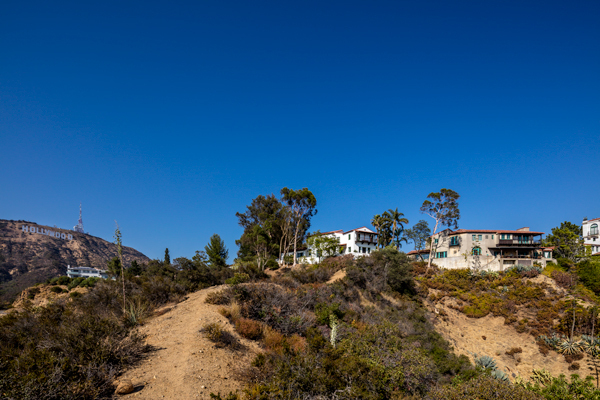 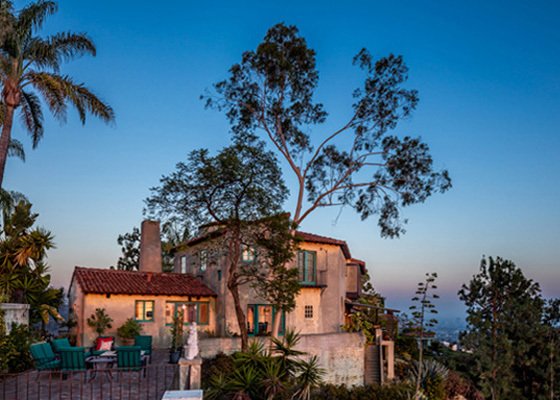 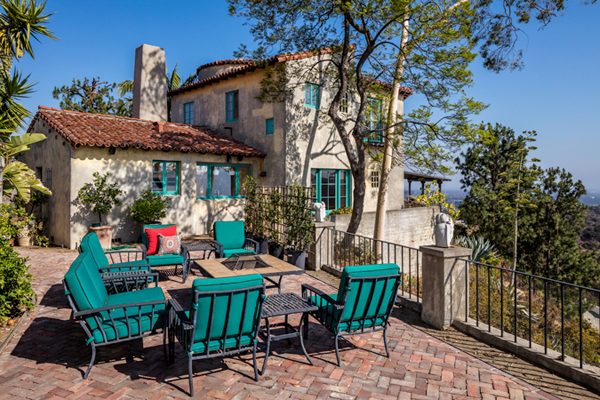 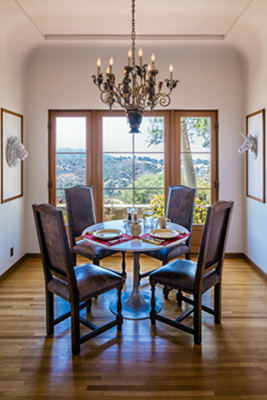 Perched high in the Hollywood Hills, the house overlooks the city of L.A., the Lake Hollywood Reservoir and the “Hollywood” sign. 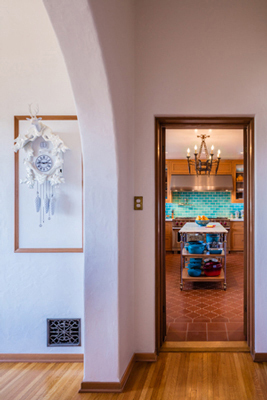 The interior floor plan takes advantage of its siting with well-designed exterior terraces and expansive views while maintaining a small footprint. 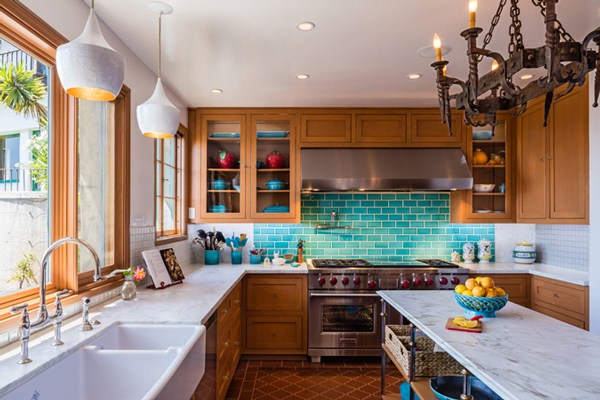 When the house passed from father to daughter, it underwent an extensive restoration and full renovation of the kitchen/staff wing. 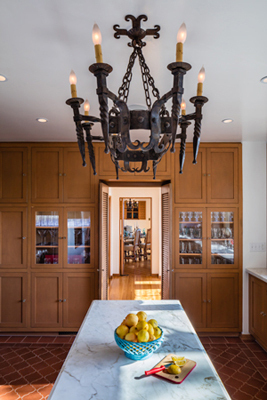 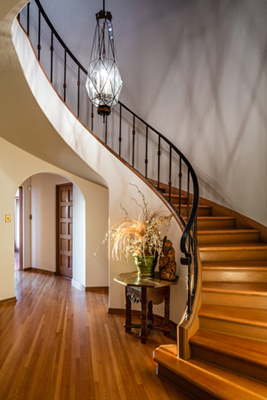 The design of renovated spaces blend in seamlessly by utilizing materials and details from the original house. 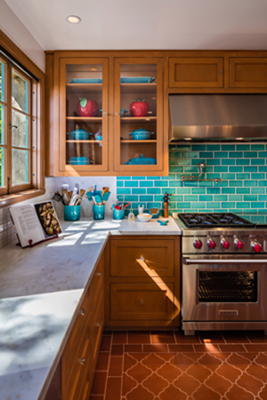 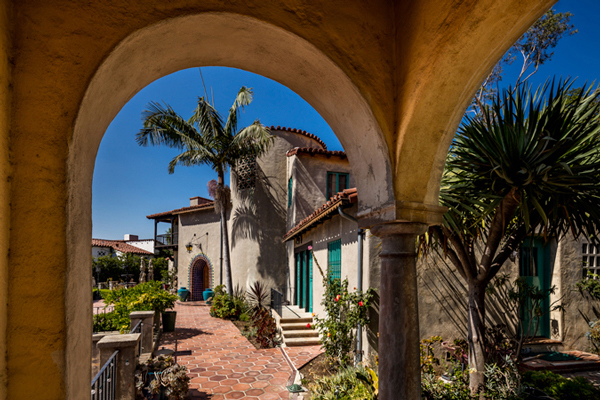 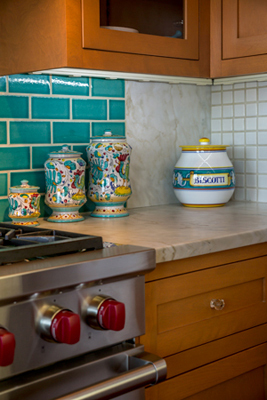 A stunning backsplash of turquoise subway tiles was designed to echo the home’s exterior tile and shutter colors, and the ornate Terracotta tiles on the floor derive from elements of the home’s exterior paving. 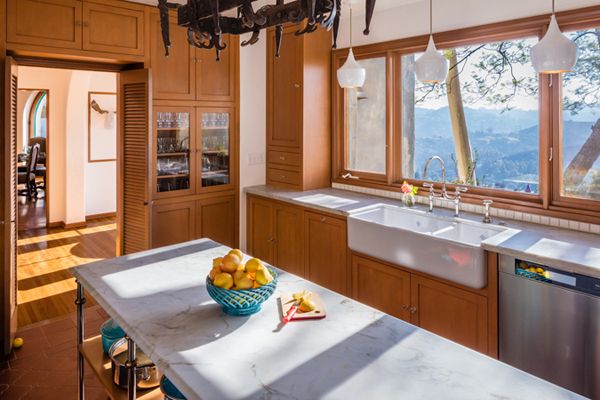 The west wall is composed of floor-to-ceiling millwork with glass panels that envelopes multiple appliances and includes a work station niche.